We Laugh! We cook! We dance! 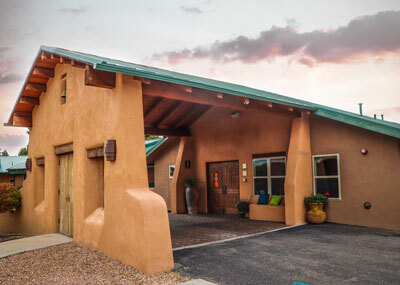 Three unique New Mexico homes intentionally created to care for those walking with Alzheimer’s and Dementia or others just needing a little extra help. Our loving homes are intentional & peaceful, traditional in values, and nontraditional in approach. They are situated on rustic, naturally landscaped properties, just minutes away from galleries, cultural sites & the medical community. Cutting edge, homey & cozy with authentic southwest motifs, and remarkable outdoor patios and courtyards, our homes are designed exclusively to meet the needs of our elders. We are solely dedicated to the care of persons with Alzheimer’s & other forms of Dementia. Our third home & newest addition specializes in helping frail, non to mild dementia persons with day to day care and reminders. “our elders aren’t just taken care of, they’re loved”. We honor the whole person remembering their essence. Their lives are rich. Our homes are filled with live plants, art, music, dance, comfort food, live-in pets, and laughter. Vista Living Care is 100% family owned founded in 1998. Please take a look at each of our facilities that provide equal care but are each different in their own way. Vista Living Care is comprised of three homes in the state of New Mexico. Two homes in Santa Fe (Sierra Vista and Vista Hermosa) and one in Las Cruces (Arbors). Our cutting edge model is internationally recognized as a superior, unique design for this special population, maintaining our leadership status in Memory Care. We honor the whole person remembering “their” past, and the wisdom to understand their presence. “Dementia is our business, our only business! At Sierra Vista, our goal is to continually create a positive, loving and holistic community devoted to providing exceptional care for people with Alzheimer’s disease, memory loss and related illnesses. The most recent addition to our Vista Living Community homes. This bungalow has a team that creates an intentional, welcoming environment and an insurmountable love for the individuals inside. 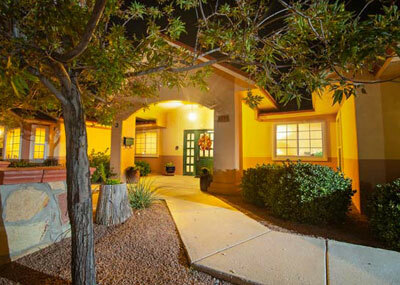 Arbors is the most experienced freestanding Alzheimer’s and Dementia Care residence in Las Cruces and surrounding areas. State-of-the-art facility designed and staffed for people with all levels of memory impairments. ​ Mindful Dementia Care is a book of stories and a book of love. It is a book without denial, without any papering over of the challenges that can be involved with being a caregiver, and the sadness, anger, and frustration they may bring. It is also a life-changing source of information that can revolutionize relationships with one of the most vulnerable populations in our midst.